2. I don’t remember the second one. 3. Always adjust my glasses in this fashion. * See photo. 2. 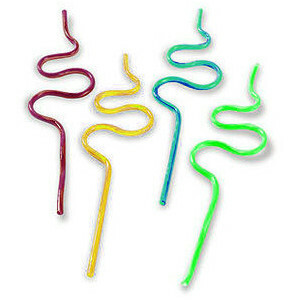 Use crazy straws more often. 3. Switch from regular-fat mayo to low-fat mayo and from sugar-free syrup to sugar-full syrup. Aside from being logical and consistent, I believe these resolutions will both help to save the environment (carry around a crazy straw in your purse, no need to use those cheap, disposable ones they give you in restaurants!) and help me become a healthier and happier human. I invite you to share your resolutions with The Bureau, even if you think you may not stick to them all year. May your flaws inspire the rest of us to mediocrity. Happy almost 2012! Sugar full syrup is the way to go. The closer to coming out of the tree, the better.